The law states that the new symbol of access “shall be used for all buildings and structures constructed, substantially renovated, or expanded on or after January 1, 2017”. In addition to the new symbol typically painted on the asphalt or concrete in those reserved stalls, the law also requires a significant update to the accessible above ground signage. The new signage must state the words “reserved parking permit required” and “violators will be fined”. The signs must also have a blue background with white lettering, and show the new international symbol of accessibility. It’s important to note that any alteration or repair to existing signage will also trigger the adoption of the new law. 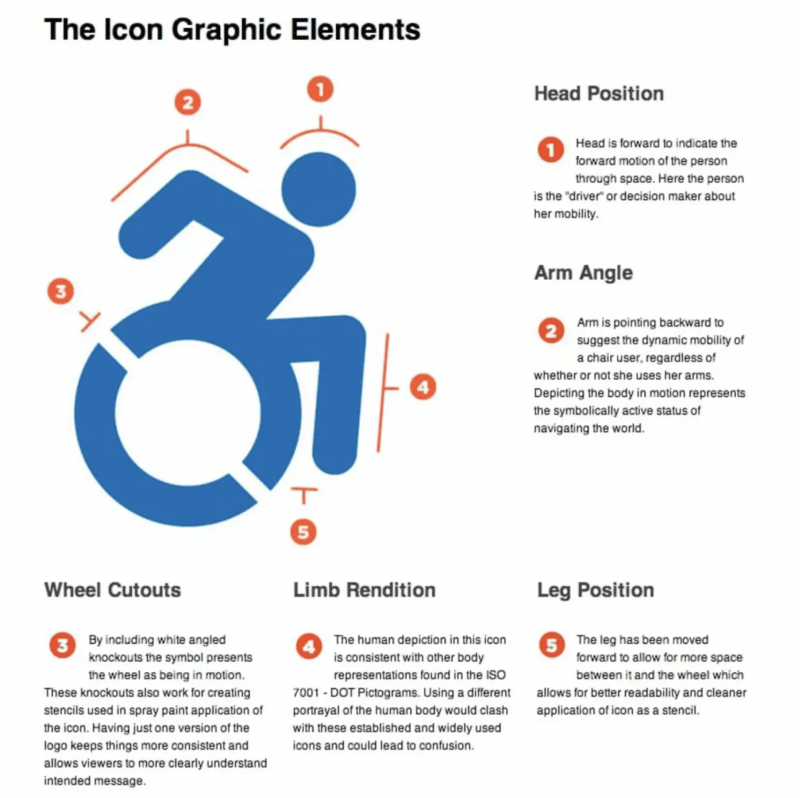 This new law echoes the efforts of the Accessible Icon Project which is a Boston activist group backing the need for a new logo that illustrates wheelchair users as more active. This new CT law is officially in effect and updated signs and symbols will need to be placed at all new construction sites, and it will also need to be updated and replaced on older construction sites as additions and renovations take place. When making additions or alterations to your property, these additions and alterations must comply with current ADA regulations and meet proper building codes in all aspects. An “addition” is defined as any expansion, extension, or increase in the gross floor area or height of a building or facility. Alterations include, but are not limited to, remodeling, renovation, rehabilitation, reconstruction, historic restoration, resurfacing of circulation paths or vehicular ways, changes or rearrangement of the structural parts or elements, and changes or rearrangement in the plan configuration of walls and full-height partitions. Each addition to an existing building must comply with requirements for new construction. Each addition that affects the usability of, or access to an area serving a primary function must comply. When existing spaces are altered, each altered element needs to comply. When elements or spaces are altered, but the path to the altered element is not changed, an accessible route is not required. According to a state building code interpretation: when the code uses terms such as “substantially renovated” or “substantially rehabilitated” it is meant to describe work that not only replaces previously existing structural elements, wall and ceiling finishes, flooring, doors, windows and perhaps cabinetry, but also rearranges walls and partitions to reconfigure existing spaces. Essentially, ANY alteration to your building will trigger the code, including alterations to your existing parking lot. So, what does this all mean? Well, for starters it means that any alterations to your parking lot, including a re-painting of the lines, a sealcoating treatment, or parking addition project will require you to update to the new symbol, as well as update your signage to be within compliance. Secondly, this means that it is important to make sure that your paving contractor is well-versed in up-to-date ADA regulations and understands not only what these new requirements are, but also when they need to be enforced. If your parking lot is not up to code, this can result in ADA lawsuits. 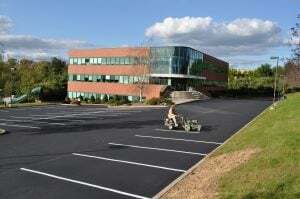 When considering an addition, renovation, or alteration to your CT parking lot, make sure that you are hiring ADA compliant paving contractors who are aware of the new symbol of access, signage requirements, and all other current ADA regulations. Hiring a contractor whose knowledge on ADA compliance is out of date could lead to fines, lawsuits, and wasted money (damages and having to do the job twice). Contact EastCoat Pavement Services today for your free consultation, and feel confident in our up-to-date training and knowledge.